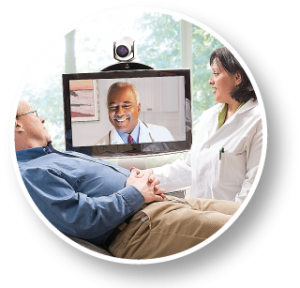 Telemedicine is convenient way to see your doctor from your home or office via Skype, Facetime, or other two- way video applications. 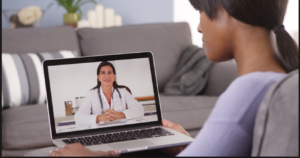 Telemedicine includes a growing variety of applications and services using two-way video, email, smart phones, wireless tools and other forms of telecommunications technology. With telemedicine you can see your physician from home and eliminate the hassle of traveling to the doctors office, waiting in the waiting room and exam room. Telemedicine is not a separate medical specialty. Products and services related to telemedicine are often part of a larger investment by healthcare institutions in either information technology or the delivery of clinical care. Telemedicine and telehealth are interchangeable terms, encompassing a wide definition of remote healthcare. Patient consultations via video conferencing, transmission of still images, e-health including patient portals, remote monitoring of vital signs, continuing medical education, consumer-focused wireless applications and nursing call centers, among other applications, are all considered part of telemedicine and telehealth.